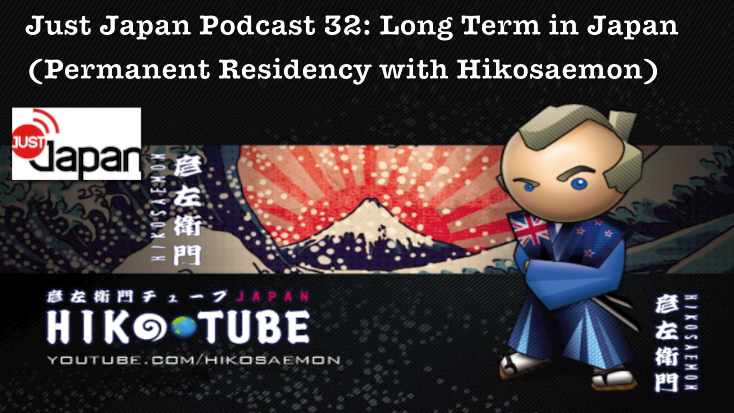 In Episode 32 of the Just Japan Podcast, host Kevin O’Shea talks to long-term Japan resident and YouTube personality, Hikosaemon about getting permanent residency in Japan. Kevin also discusses tennis phenom Kei Nishikori making it to the final of the US Open, Dengue Fever in Japan as well as the Just Japan Podcast Halloween candy contest and the November 22nd Kobe/Kansai YouTube and content creators Meet Up. Listen to Episode 32 of the podcast in your web browser. Previous Just Japan Podcast Halloween Candy Contest Giveaway!